Wicketkeeper-batsmen Dinesh Karthik on Thursday was named as a replacement for injured Manish Pandey for the Champions Trophy beginning June 1 in England and Wales. Manish Pandey sustained a left side strain during a practice session. Karthik played his last match against Afghanistan at Dhaka on March 5, 2014. 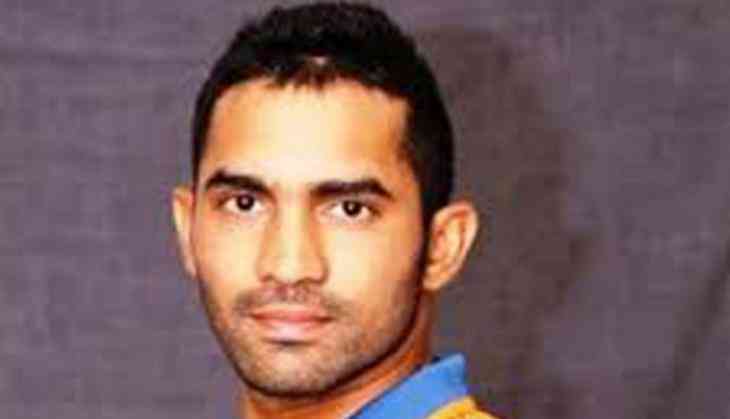 "The All-India Senior Selection Committee has named middle-order batsman and wicketkeeper Dinesh Karthik as the replacement for Manish Pandey," an official BCCI release stated. Virat Kohli (C), Shikhar Dhawan, Rohit Sharma, Ajinkya Rahane, Mahendra Singh Dhoni (wk), Yuvraj Singh, Kedar Jadhav, Hardik Pandya, R Ashwin, R Jadeja, Mohd. Shami, Umesh Yadav, Bhuvneshwar Kumar, Jasprit Bumrah and Dinesh Karthik. The defending champions will begin their Champions Trophy campaign again arch-rival Pakistan on June 4 in Birmingham following matches against Sri Lanka and South Africa on June 8 and June 11 respectively.